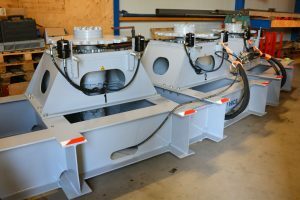 Hulst Innovation Cable Equipment (HICE) is innovative and creative and works with its clients to modify and improve new and existing equipment. At HICE we see a solution for every challenge, where the focus always remains on cable specifications and practicality. The starting point is maximum functionality from as simple as possible systems to ensure a high reliability and usability over the lifespan. 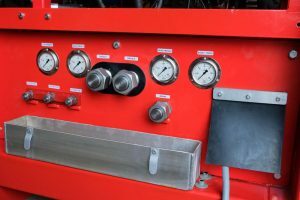 In addition to the previously presented equipment, also custom built winches, electro-hydraulic power-packs, control panels can be delivered. Some examples of these are a combined HPU to supply different consumers with hydraulic pressure/flow or a number of simplified cranes with electrical winches for deployment of positioning beacons to the seabed. 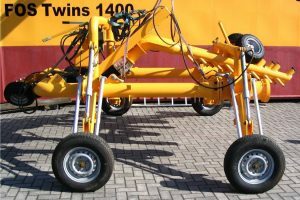 A ‘special’ like a diver operated trenching device has been built as well. In this case a client requested a height adjustable vehicle capable of jetting a cable into the seabed using high pressure water-flow. 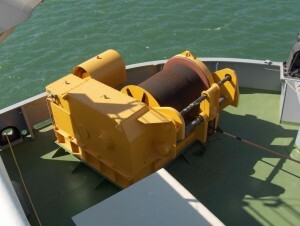 The high pressure water-flow is also propelling the vehicle on the seabed and the cable is sinking into the seabed as the vehicle drives along. The water-flow is delivered to the vehicle by two 6”-hoses that are connected to high pressure water-pumps (11bar @ 700m3/hr) located on a pontoon on the surface.